Hours of Operation: Monday – Friday: 7:00 a.m. – 6:00 p.m. · Saturday: 8:00 a.m. – 5:00 p.m. · Sunday: 8:30 a.m. – 3:30 p.m. When it's time to get to work, GBS is here for you. We are your hometown hardware store in Madera, California. Our store sells the parts, supplies, and equipment for all your home improvement projects. With our extensive selection of goods and commitment to quality service, getting the right results from your project has never been easier. 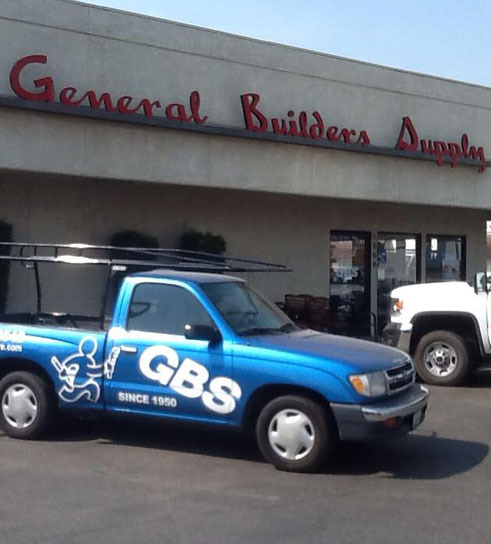 For more than 70 years, General Builders Supply has helped contractors and do-it-yourselfers meet all their construction and maintenance needs. As a locally owned and operated construction supply store, we empower residents with materials, equipment, and knowledge. Thanks to our highly trained staff, versatile product selection, and commitment to customer service, we make home improvement a seamless experience. Our hardware center is rooted in history and is always looking to the future — a vision which allows our community to prosper. Members of our staff undergo continual training. If you have a question about anything we sell, you can have confidence knowing we have insightful answers. Our team is also committed to serving the community. We have been a member of the Madera Chamber of Commerce for more than 50 years, and we are also members of the North American Retail Hardware Association. Sunday: 8:30 a.m. – 3:30 p.m.